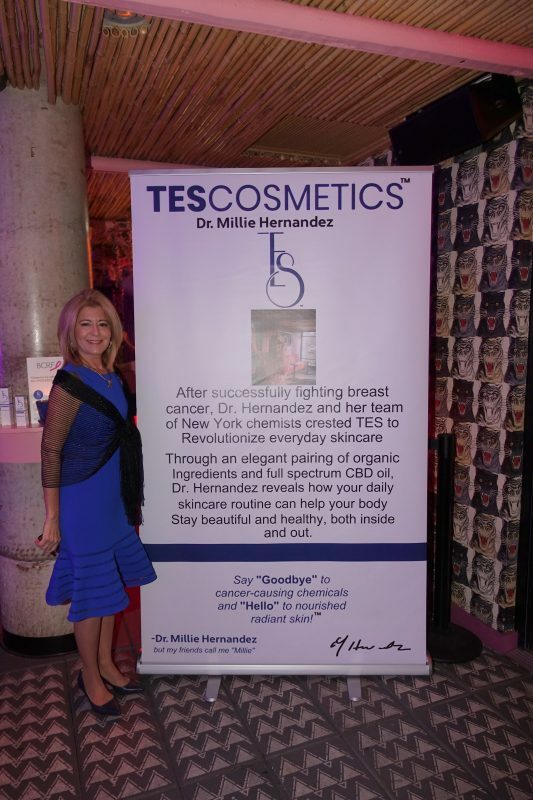 Today Dr. Milagros Hernandez announced the launch of TEScosmetics ™ (Total Everyday Skincare), the only line of HEMP oil skincare products designed by a medical doctor. HEMP is a non-psychoactive cannabinoid found in cannabis that is legal in all fifty states. Known for its ability to soothe aching muscles, reduce inflammation, and brighten the skin, HEMP oil is a largely untapped market ripe with possibilities. Research firm Brightfield Group stated: “HEMP is growing faster than cannabis in the U.S. and will soon be a $22 billion industry. It’s been flying under the radar but is set to explode.” They also say this growth will have “profound” effects on Consumer-Packaged Goods (CPG) and pharmacy products. After being diagnosed with breast cancer in 2010, Dr. Hernandez went through treatment and a double mastectomy. She then decided to use her understanding of the links between topical and airborne toxins and cancer to develop a toxin-free, all natural skincare line. She spent the last eight years in product development, working with a team of scientists to develop a new skincare regimen that combined the therapeutic properties of HEMP oil with premium organic ingredients. 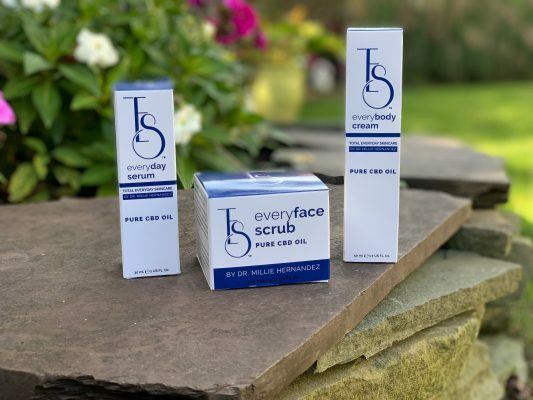 The TEScosmetics line currently includes everyface scrub, everyday serum, and everybody cream (a lightweight moisturizer), and can be found online and shipped globally. Eye and lip makeup are currently under development. “We are excited to work with retailers, and plan to offer TES in stores in the near future.” said Dr. Hernandez. In 2019, she plans to launch lip and eye products infused with HEMP as well. The HEMP used by Dr. Hernandez’ new line comes from Colorado, where growers are regulated under the Department of Agriculture. TEScosmetics skincare products are never tested on animals. Its full-spectrum organic hemp-derived HEMP oil is rich with Omega-3 fatty acids and vitamins D and E, which have been associated with nourishing and protecting all skin types. Retailers interested in carrying TEScosmetics in their store may email info at TEScosmetics. Founded by Dr. Milagros (Milagros) Hernandez, TEScosmetics is the only line of HEMP oil skincare products designed by a medical doctor. All TEScosmetics products are infused with full-spectrum organic hemp-derived HEMP oil that penetrates into skin pores to deliver vital nutrients. HEMP oil is rich with Omega-3 fatty acids and vitamins D and E, which help nourish and protect all skin types.